There are many reasons I love the African continent first because its my heritage, I'm from the Democratic Republic of Congo, secondly its where my home is, thirdly because there is so much history, so much beauty and so much natural resources. I could go on and on about what makes Africa great and its importance to the world. However I am also disappointed how many myths and misconceptions about Africa are commonplace in the West. We have definitely taken what we learned in geography class for granted and this lack of knowledge lends itself to the ignorance we have about other places in the world. 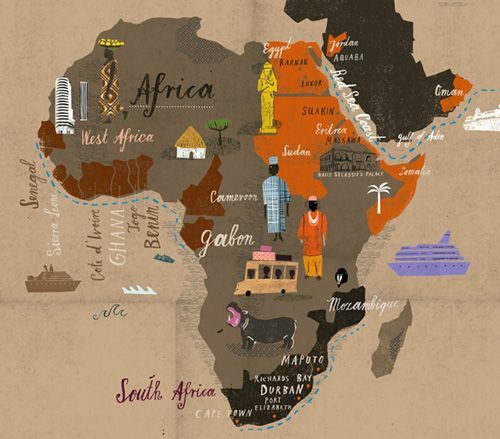 Did you know that Africa is the second largest and second most populous continent and is 6% of the earth's surface. Did you know that Africa's Sahara is the World's Largest Desert and the Nile the longest river in the World. Also, Africa also makes up 15% of the World's population and origin to a quarter of languages. So in the bigger picture Africa is an important part our history and future here on earth. 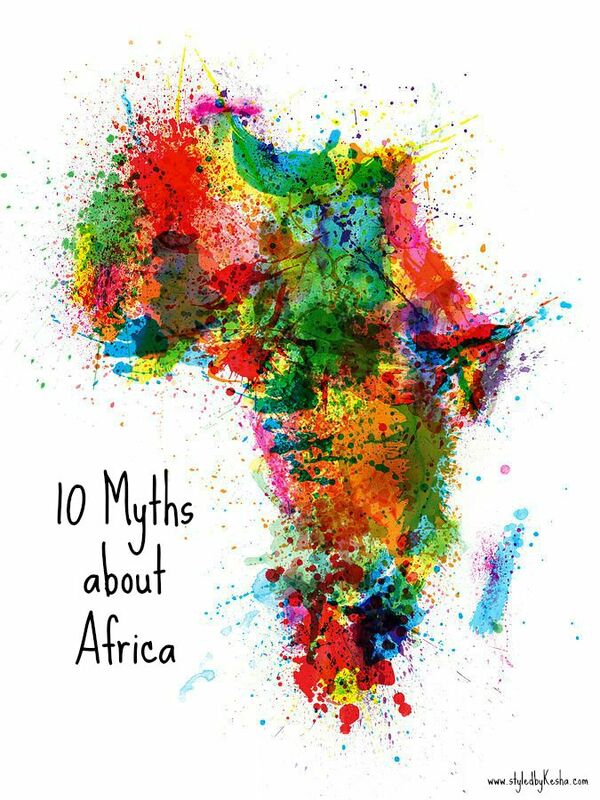 Below are ten of the most common myths I’ve heard over the years, and now you can help shed some light on what too many people still think of as the “dark continent”. One of the most annoying question, I constantly get asked is, “What country are you from? Africa?”I absolutely dislike that question! It immediately speaks to the person's ignorance and lack of general knowledge. The most annoying part is that if that person does not care to know and if that's the case please don't waste your energy but answer the question with a confidence and firmness so that they wont come to you with such a silly question again. Even if you don’t know much about a place, its all about sincerity and authenticity behind it. Please note that Africa is a CONTINENT and not a country, its not an Island, colony, or a nation. In fact, it is made up of quite a number of 55 different independent countries with diverse ecosystems, biomes, cultures, and people. Each country has its own currency, flag, anthem, history, cuisine, music, identity and blend of cultures. In fact more than 2000 languages are spoken in Africa, and its 1 billion inhabitants are made up of over 3000 distinct ethnic groups. Africa is also bigger than most people think it is, it covers 30,221,000 sq km (11,679,000 sq miles). If you combine the USA, China, India, Europe and Japan – they all fit into Africa. In fact the USA fits into the African continent three times! 2. Africa is always Hot! When I lived in South Africa as a young child, I can remember all seasons. The seasons are the opposite from America. September to November is Spring, December to March is Summer, April to May is Autumn and June through August is Winter They definitely have a long summer season and shorter winters. This is true of Western Africa, however in the Northern and Southern regions of the continent it experiences cold winters as well as hot summers. When we talk about weather in Africa we usually refer to the dry and wet seasons more than hot cold. Contrary to what you see and read, Africa has a number of thriving democracies. Ghana is often heralded as a beacon of hope for democracy on the continent with President Obama offering a personal seal of approval on his visit to the country last year. Botswana, the world’s biggest diamond producer, has also been hailed as an example to its continental peers. Let’s also not forget, that the majority of African nations have been independent for roughly 40 or 50 years, meaning we have a ways to go, but as you can see many of us are on a great start. 5. African is not a Race! Did you know not all Africans are black, European explorers and settlers also traveled all over the world including North America, South America and Africa and stayed there hundreds of years ago. There are many countries in Africa where there not only white people, but Indian, Malaysian, and Chinese mostly in South Africa and therefore thats its called the rainbow nation. Africa's wildlife is confined to the national game reserves and parks in each country. They don't roam around in towns, cities or suburbs. There is too much competition for resources with a rapidly growing population. Keeping Africa's wildlife safe protects the animals and the farmers their crop and from eating their cattle. The truth is that almost every African adult has a cell phone and they are in the process of developing a mobile banking system that serves the needs of its citizens. Therefore innovation is happening everywhere as access to information and creative ways are developing to help africans live and compete in a changing global market. Its one of the primary ways loved ones stay in touch with their family members abroad and all places around the world. Africa is well ahead of the game from Western countries when it comes to utilizing sustainable energy usage effectively. Kenya uses 50% of renewable energy resources and hydroelectricity. The West can learn the African countries on how to usemore creative ways to reuse, and recycle. The stereotypes that Africans are helpless and dependent is entirely false. African citizens are the most hardworking people I know. They really do take care of their families and communities it is part of the African culture work to make sure the group is okay versus the individual. In fact it is reported according to the Official Development Assistance that Africans who live outside the continent send more money to family than the Western world sends them aid. In 2010 Africans sent back 51.3 billion dollars back to Africa. Thats amazing to me. The African continent is the birthplace of civilization and its unique history has told through stories, folktales and other means passed down from generation to generation. Oral history has always been part of the African culture. Africa has seen a lot of struggle and harsh conditions, slavery and colonialism that has created the struggle Africa is facing presently. 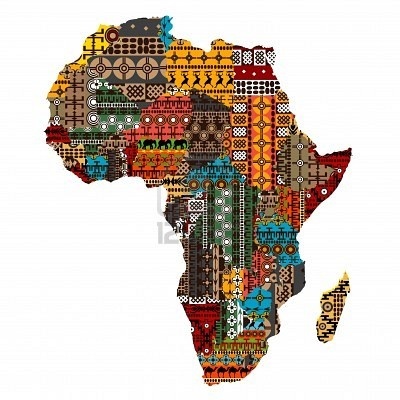 It is slowing moving past its dark history to a new brighter future and with all the love, traditions and community I know that the African continent has a bright glorious future. No culture lives in a vacuum and every culture is dynamic, and interesting there is plenty of history in Africa, we just learn enough about it.